The problem with making a dentist’s appointment for yourself or a family member is that they often are made many months in advance. So it’s not always easy to remember an appointment that you make today when it is finally time to visit your dentist. Yet it is very important that you keep your dental appointments, not only for your oral health but also for the dentist. 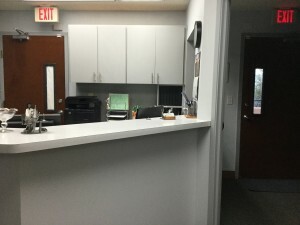 When patients miss appointments without giving advanced notice, it is not only inconvenient for the dental staff but also inconsiderate for other patients who could have taken that unused appointment. At McCosh Family Dentistry, we take steps to remind our patients when they have upcoming appointments. But people today lead very busy lives. So it’s easy for those reminders to get lost in the onslaught of information we all get every day. That’s why it’s also important for patients to create other reminders for themselves. Keeping track of your dental appointments, as well as all of your other obligations, is a good way to lead an efficient, organized life. Thanks to advancements in technology, it’s now possible to keep track of your daily schedule on your smartphone, tablet, or other mobile devices. There are even organizational software programs you can use that connect all of your devices so that when you make a change or addition on one, it appears everywhere. Despite the high-tech world in which we live, sometimes the oldest, most traditional ways are still the best. There are a lot of benefits to hanging a paper calendar in a place in your home where every member of your family can see it, such as in the kitchen. Making a notation on your family’s calendar of upcoming dental appointments is an easy yet effective way to keep everybody informed.